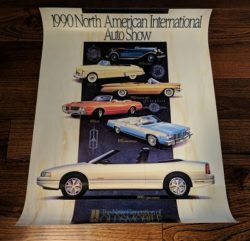 You cannot add "1897-1997 Oldsmobile 100 Years of Progress-poster-NOS" to the cart because the product is out of stock. Categories: Buick ENGINE COMPARTMENT, BUICK Labels & Tags, Chevy Engine Compartment, CHEVY Labels & Tags, ENGINE COMPARTMENT, Olds ENGINE COMPARTMENT, OLDSMOBILE Labels & Tags, Pontiac ENGINE COMPARTMENT, PONTIAC Labels & Tags. Tags: 1964, 1965, 1966.